The state of Gujarat is always brimming with colours of creativity, artistry and heritage. 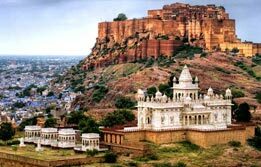 The twelve day itinerary completely focuses on the gala of Gujarat and its diversity. 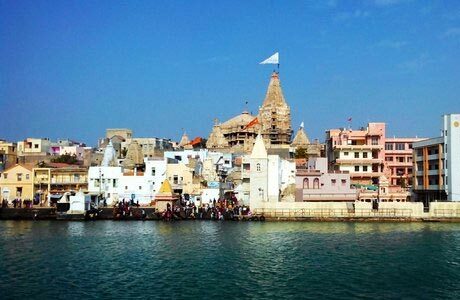 Garlanded with the destinations like Ahmedabad, Jamnagar, Sasangir, Gondal, Junagarh, Diu, Somnath and Bhavnagar, this Colours of Gujarat tour is one of the must visit attractions of India. 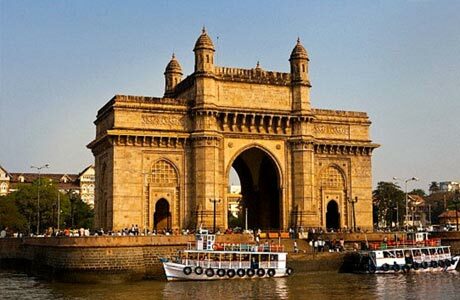 Upon arrival, meet India Budget Tour representative who will assist your transfers to the hotel for overnight in Mumbai. Early morning move on a half-day sightseeing tour covering the Gateway of India, the port of Mumbai. This will be followed by a boat cruise to Elephanta Caves. The caves are at the top of a gentle stairway, which begins almost immediately where the ferry hits dry land. Transfer to the airport and fly from Mumbai to Ahmedabad. Upon arrival, meet our representative who will transfer you to the hotel for a 2-night stay and thereon your colourful Gujarat tour begins. 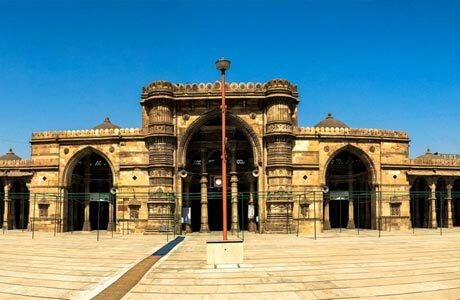 Post breakfast, depart on a city tour, covering Indo-Saracenic archetypal Mosques, Jama Masjid and Sidi Syed Mosque, followed by the painted Swaminarayan Temple. Afternoon visit to Mahatma Gandhi's Sabarmati Ashram. Early morning drive to the old-walled city of Jamnagar for a 2-night stay. Late afternoon tour of the city and temples. Early morning depart on a day excursion to Dwarka. This shore temple town is associated with Lord Krishna and has the Dwarikadhish Temple dating back to the 16th century. With 70 pillars and seven storeys high it is only a short distance away from the 12th century Rukmini Temple. Return back to Jamnagar for overnight stay at our hotel. After breakfast depart for Sasangir, via Gondal and Junagarh Fort. Arrive at Sasangir, the entrance to the 1412 sq. 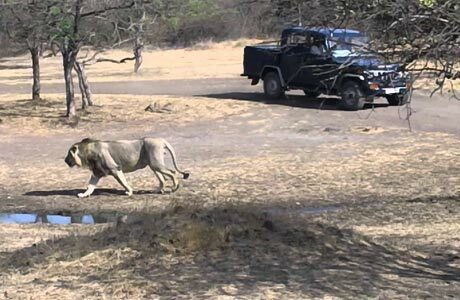 km Gir National Park and the Wild Life Sanctuary, the last stronghold of the Asiatic Lion population outside Africa and the world's only 4-horned antelope. Stay 2 nights in Sasangir. Early morning jeep and late afternoon safari to the Wild Life Reserve. 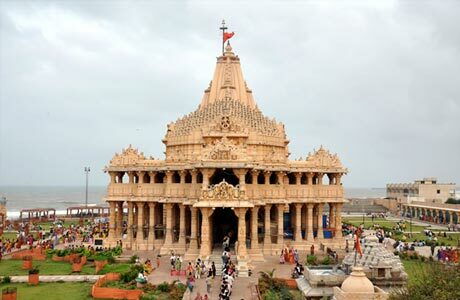 Drive to Somnath and the historic shore temple. One of the 12 important jyotirlingas of Shiva in India. 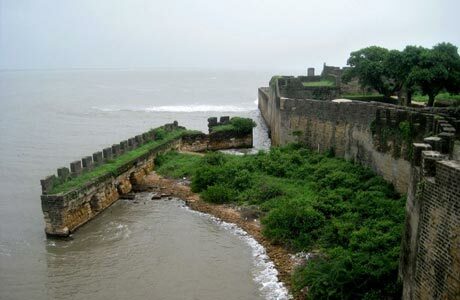 On to Diu, erstwhile Portuguese colony off the Saurastra coast of Gujarat. Golden beaches, palm groves, monuments, etc. On arrival check-in at your hotel for a leisurely 2-night stay. Morning sightseeing tour of Diu. See how the Portuguese used to rule, visiting the battlement of Diu Fort, the wood panelled St. Paul's and St. Thomas' Churches. Evening at leisure. Early morning drive to Bhavnagar, another rich princely city. Check: in at your hotel. Afternoon sightseeing, covering Takhteshwar Temple and Gandhi Smriti Museum. Overnight stay. 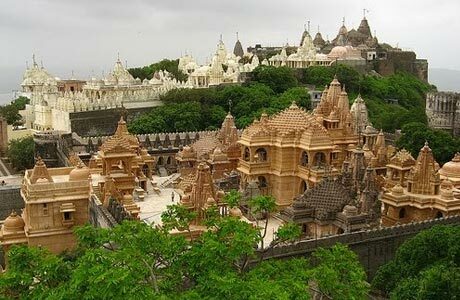 Morning drive to Palitana to visit Shatrunjaya, the 2000 ft. high Jain Temple Complex, which has 863 Temples with arches, carved pillars, and bejewelled idols ranging from 11th to 20th century. Later on drive to Ahmedabad for an overnight stay. 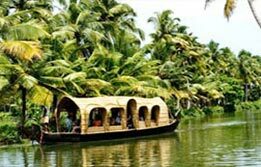 Transfer to the airport and fly from Ahmedabad to Mumbai. Travel to your onward destination.